The NDIS will provide about 460,000 Australians under the age of 65 who have a permanent and significant disability with the reasonable and necessary supports they need to live an ordinary life. Which organisations are responsible for delivering the NDIS? 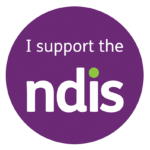 The NDIS is delivered by the National Disability Insurance Agency (NDIA) which is the independent Commonwealth Government agency responsible for implementing the NDIS nationally. The NDIA makes decisions about whether someone is eligible to become an NDIS participant and, if so, how much funding they will receive. This is based on legislation called the NDIS Act 2013 which sets out what supports and services are considered reasonable and necessary for the NDIS to fund. Early Childhood Early Intervention (ECEI) helps children aged 0-6 years who have a developmental delay or disability. ECEI Partners employ ECEI Coordinators who help children and their families access supports and services that are tailored to the child’s needs. ECEI Coordinators will also help with connection to other services such as community health services, playgroups or other activities available in the area. Merri Community Health Service in the Ovens Murray Service Areas. Local Area Coordination Partners employ Local Area Coordinators (LAC) who help people understand and access the NDIS. They also work with NDIS participants to develop and use their NDIS plan. For most people aged seven years and older, a LAC will be their main point of contact for the NDIS. A LAC will connect people with disability to supports, services, activities in their community and other government services. LACs also work in communities to help them become more accessible and inclusive for all people with disability. Brotherhood of St Laurence in the North East Melbourne, Hume Moreland, Bayside Peninsula, Brimbank Melton, and Western Melbourne Service Areas. Latrobe Community Health Service in the Central Highlands, Ovens Murray, Wimmera South West, Barwon, Inner East Melbourne, Inner Gippsland, Outer Gippsland, Outer East Melbourne, and Southern Melbourne Service Areas. Intereach in the Loddon, Mallee, and Goulbourn Service Areas. Visit the NDIS locations page or call 1800 800 110 to find the most up to date ECEI and LAC Partner address and contact details. If they are already receiving disability support services from their state or territory government, they will be contacted as the NDIS becomes available in their area. To join the NDIS, a person will need to provide evidence of their primary disability. If they are already receiving disability support services from their state or territory government, they will be contacted as the NDIS. In these cases, most will not need to provide evidence of their disability or submit an Access Request Form. If they are not currently receiving any disability supports, but wish to join the NDIS, they or their guardian (including carer or nominee), will need to complete an Access Request Form. This Form can be obtained by contacting NDIA on 1800 800 110 and ask for an Access Request Form. Who can provide this evidence? Depending on the primary disability, their treating health professional should provide this evidence, e.g. General Practitioner (GP), Paediatrician, Occupational Therapist, Speech Pathologist, Psychologist, Physiotherapist, etc. They must also have been your treating health professional for at least six months. It’s important to also note that health professionals do not have to refer a patient to a specialist to obtain supporting evidence. A health professional can summarise or attach existing medical reports which describe the diagnosis/ condition and the impact of the disability on the person’s daily function. What kind of evidence is required? It is important to summarise the effect of the disability on the person’s day to day function in all relevant domains, including mobility, communication, social interaction, learning, self-care and/or their ability to self-manage. To avoid requests for additional evidence about a person’s disability, please include information regarding treatments that have been completed or planned, permanency or the impairment and the impact(s) the impairment has on the person’s function capacity. Some practical examples are found on page three of of the GP and Health Professionals Guide to the NDIS. If you need help to get your evidence together, Local Area Coordinators (LAC) are available to assist you. It’s important to remember that the person helping you to gather your disability evidence will not be able to tell you if you meet the NDIS requirements; only the NDIA can make this decision. When GPs provide any details about a patient without an associated consultation and without the patient present, a Medicare rebate is not payable under subsection 19(5) of the Health Insurance Act 1973. However in providing this information, it is reasonable to expect that GPs will perform an examination of some description to assess or confirm the patient’s current medical condition. With this examination, the time taken for GPs to provide details and information for the purposes of the NDIS, may be claimed under a Medicare item if it is part of the consultation. Consistent with the operation of the Medicare Benefits Schedule generally, it is at the GP’s discretion to select the Medicare item number that most appropriately reflects the nature of the consultation. It is estimated that those requiring disability support may grow from 78,000 people to 105,000 in 2019. Investment in disability supports is estimated to nearly double from $2.6 billion to $5.1 billion in 2020. The workforce required to meet the demand is estimated to grow from 19,550 – 23,900 to 34,400 – 42,000 full-time equivalent staff in 2019. More information about the market growth can be found in the Victorian Market Position Statement (April 2016).